I have seen only a very small area of the colordul Morocco. 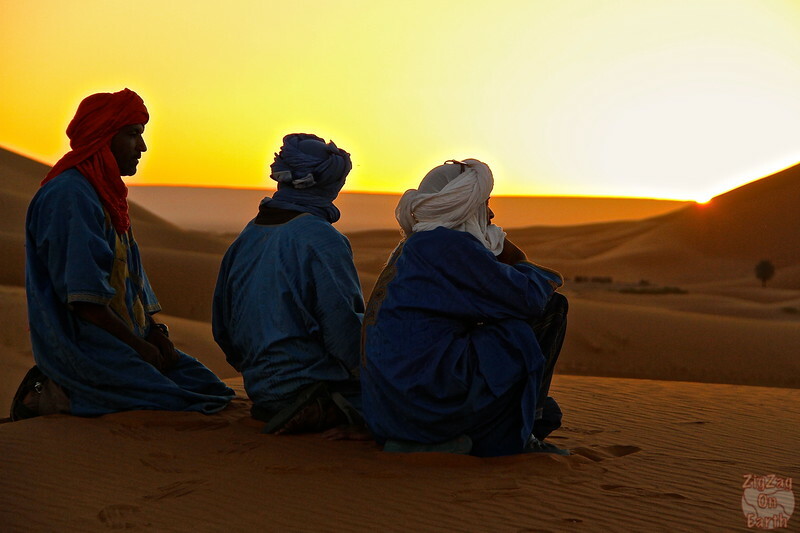 And yet I come back with some of my all time favorite pictures, especially from the Sahara Desert. 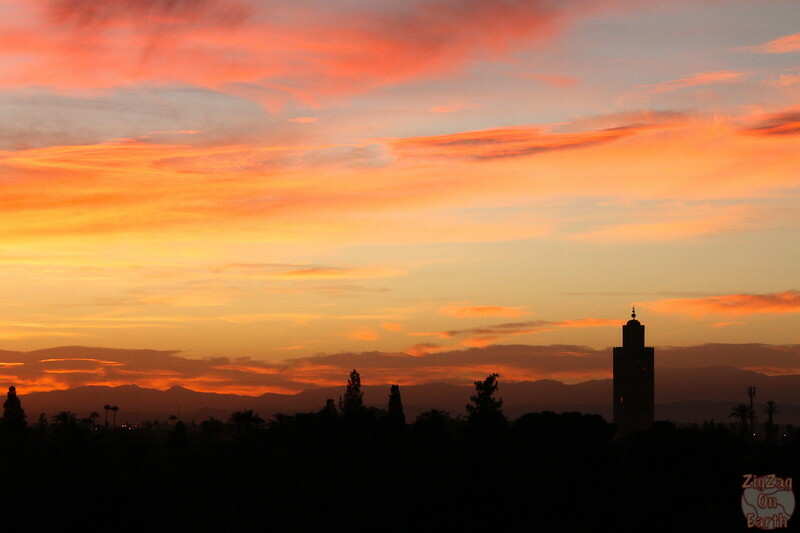 I hope this selection of photos will inspire you to visit Morocco. It reflects the peaceful feeling of being alone on the rooftop feeling the power of the start of a new day. This was taken from the roof of my hotels (most hotels have accessible terraces). The minaret is the one from the Katoubia Mosque. Because of the contrast between the oasis in the valley and the dry surrounding mountains. 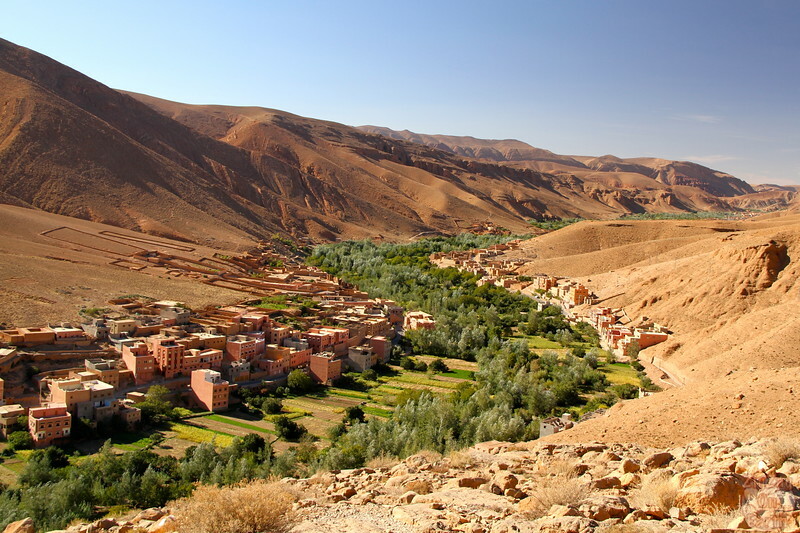 The Dades Valley is a include a oued and a gorge West of Marrakech on the other side of the High Atlas Mountains. Discover more photos, info and some planning tips on my dedicated article​ about the Dades Valley. 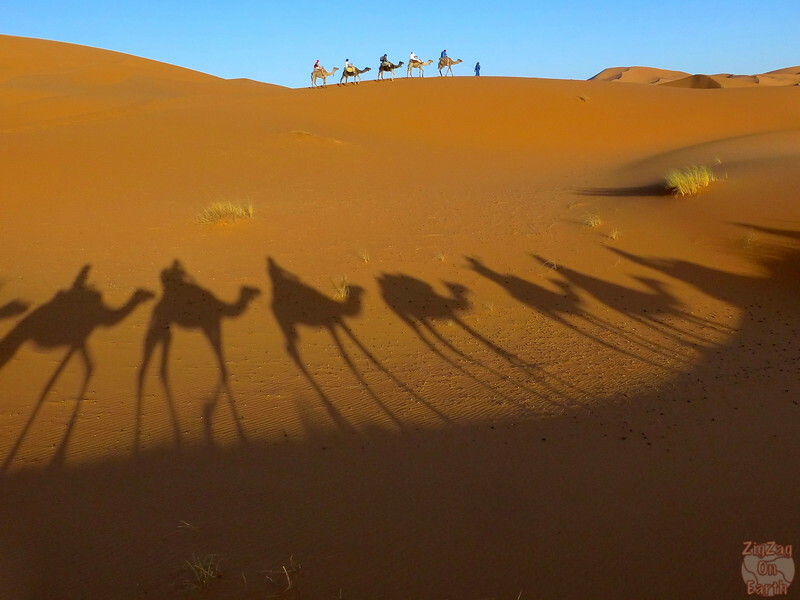 This photo was taken in the Sahara desert. I had spent the night under the stars in a bedouin camp. We woke up early, climbed back on your camels and went up to a place where we could see the sun rising between the sand dunes. Because it looks like a sand castle, when those were real size buildings! Ait Benhaddo is a Unesco Heritage Site, a city with was on the former caravan route and famous for being the scene of movies such as Gladiator. 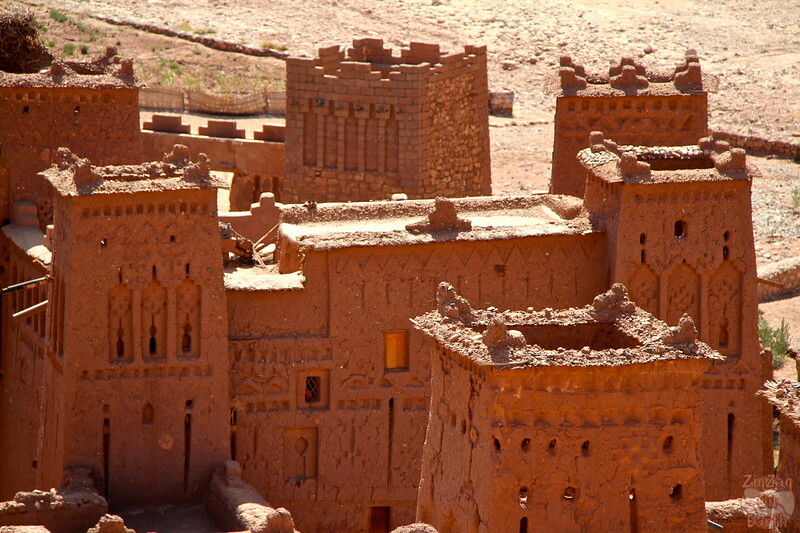 The city of Ouarzazate where you can find movie studios. Stunning photos! 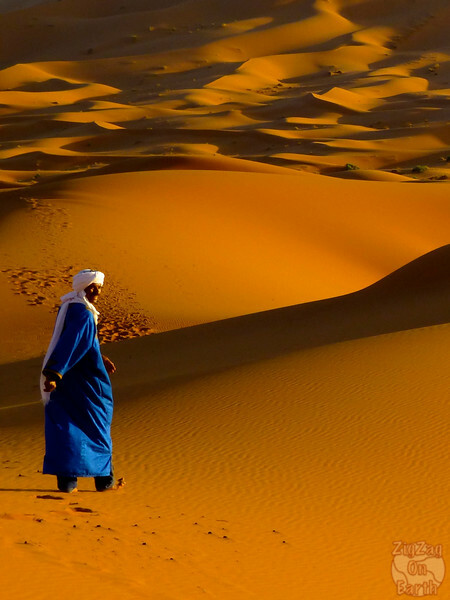 Now Morocco is also on my list for its charming desert and ruins. I have landed on your blog for the first time and I just love it! Great work. Me too, countries are being added on my list everytime I look at travel blogs… Never ending! Amazing pictures. When clients ask me what do I recommend to bring to Morocco for their trip. I always say don’t forget your camera. The scenery is just asking for some great pictures and you don’t necessary have to be professional photographer. 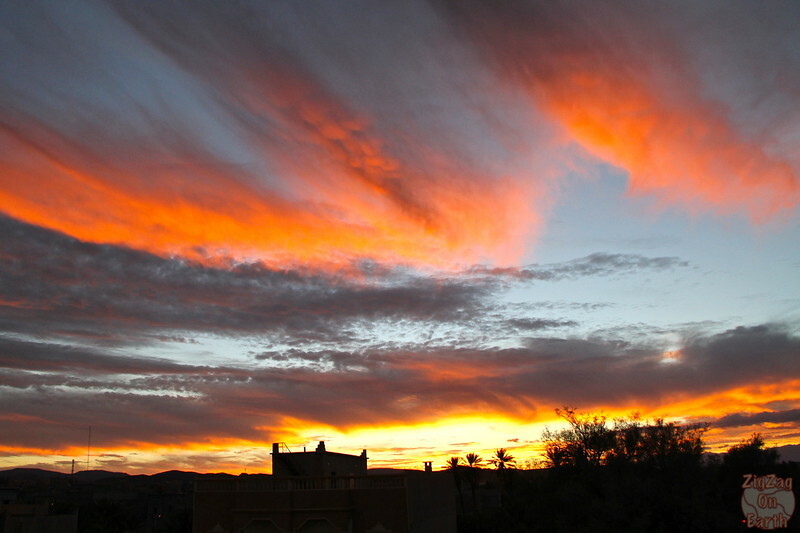 Sunsets in Morocco are beautiful everywhere! You don’t necessary have to be in the desert for some amazing shots. Thanks! Yes I had some really great sunrises/sunsets just by climbing to the roof of the hotels! Thanks! I did create it myself. It is really simpler nowadays. No need to code. I am using Genesis Lifestyle theme on WordPress and some classic plugins. I just tweaked it a little bit with colors and added a function in the code. I used the book How to build a travel blog from Nomadic Matt to guide me. It is not perfect but it was a great start.